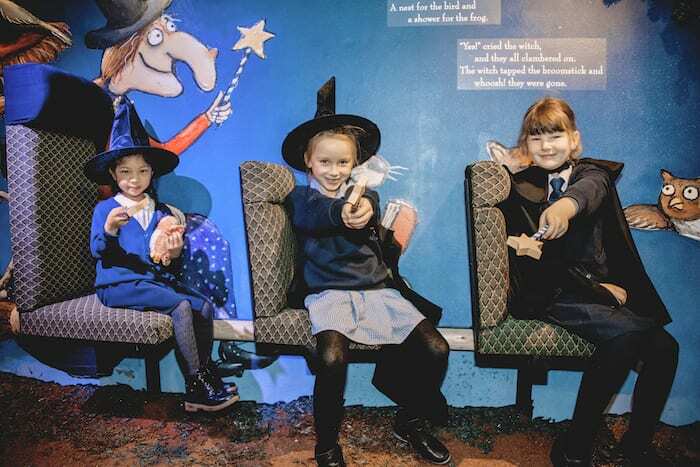 The eagerly-awaited exhibition celebrating the children’s books of author Julia Donaldson and illustrator Axel Scheffler officially opens this weekend at Z Arts in Hulme. Be prepared to walk into a magical world. 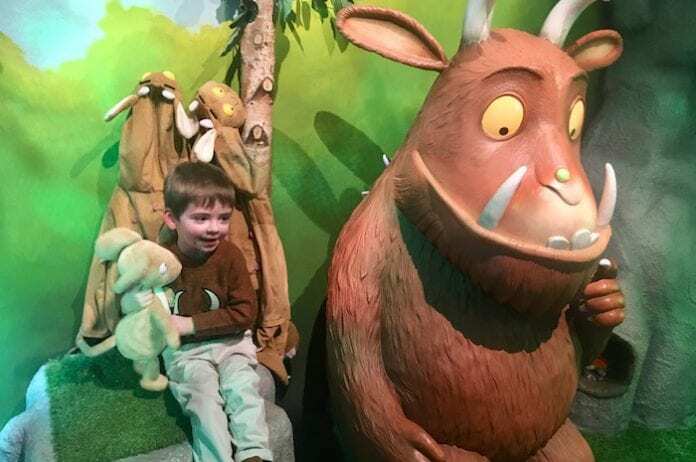 Walking inside the exhibition is rather like walking inside the pages of the much-loved books of the duo, which include family favourites The Gruffalo, Zog, Room on the Broom and Snail and the Whale. It’s a wonderfully immersive exhibition which starts for families inside the expertly recreated front room of Charlie Cook’s Favourite Book. After an interactive read through of Superworm from Z Arts’ story explorer, there’s a brilliant moment – I won’t ruin the surprise – when children get to venture into a magical world of their favourite characters. 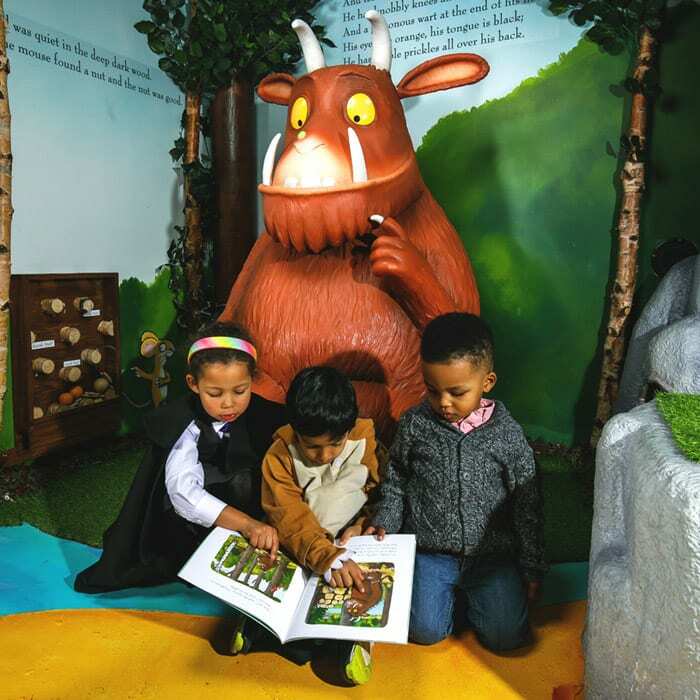 The exhibition, A World Inside A Book: Gruffalos, Dragons and Other Creatures, has been designed and created by Discover in London and is now here in Manchester for the first time where it will remain for a full year until February 2020. We headed down for a preview of the exhibition before it opens to the public this weekend – although tickets have already sold out for many of the sessions in February and March already. And it’s the sort of attraction that will have children wanting to return again and again as they get to creep into the magical deep dark wood of the Gruffalo, gaze up at a flying Zog at his dragon school, or see how they fit in the Squash and a Squeeze house. They can also walk through the Smartest Giant in Town’s main street, climb through the cave of The Highway Rat, swing through the Monkey Puzzle jungle, discover the underwater world of Tiddler, and set sail with The Snail and the Whale. If they look closely enough they might find Stick Man and his Stick Lady Love in their family tree, and can take a seat on the most magnificent broom from The Room on the Broom as a dragon breathes smoke over them. When you finally manage to drag your youngster out of the exhibition (in my case that was a bit of a struggle as my three-year-old did not want to be parted with a very long snake and the mouse from the Gruffalo) you get to head downstairs in the arts centre for a host of handicrafts. 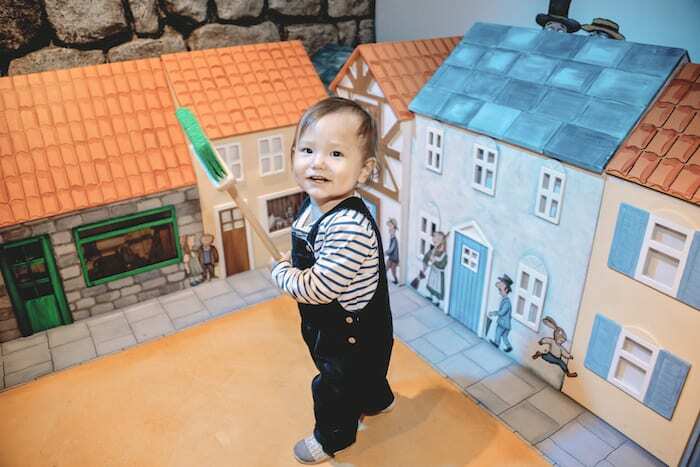 Organisers of the exhibition say it is suitable for ages 0-8, as well as their grown-ups of course. Each session runs for around 45 minutes. Tickets, priced from £6, are available to book now. Birthday parties can also be booked every Saturday while the exhibition is on. For further details, contact boxoffice@z-arts.org or 0161 226 1912 or visit the Z-arts website.